According to the Law on Statistics, official source of information in the Republic of Bulgaria is the National Statistical System, which comprises of the National Statistical Institute, the Bodies of Statistics and the Bulgarian National Bank. 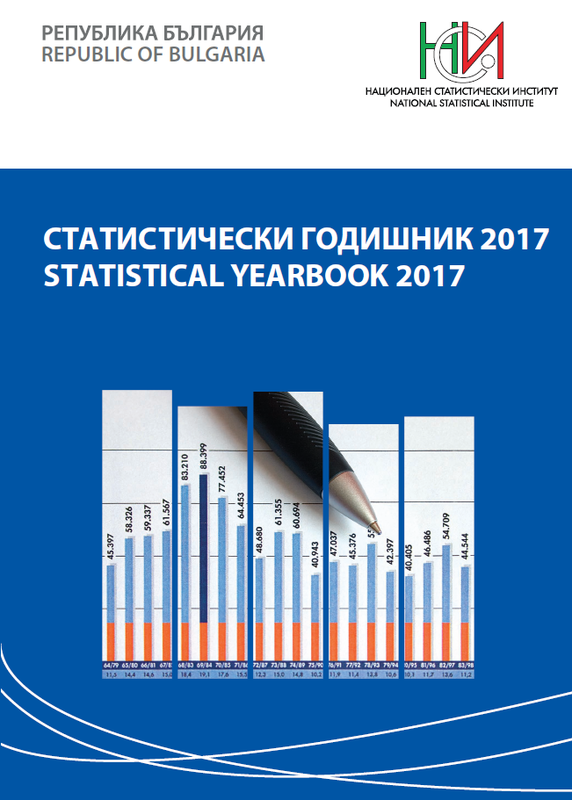 The source of information is mandatory mentioned in the Statistical Yearbook. When the source of information is not specified, data published are based on the NSI's surveys result. The statistical information, found in the yearbook, presents the country as a whole and is also provided at a regional level. Data on the demographic, social and economic development at regional level are included in the Regional Review Section. The administrative - territorial units 'districts' are presented according to the Law of the Administrative Territorial Structure of the Republic of Bulgaria, while the territorial units for statistical purposes, i.e. 'Statistical zones' and 'Statistical regions', are presented according to the Classification of Territorial Units for Statistics in Bulgaria that corresponds to Eurostat NUTS classification. The yearbook is designed thematically by chapters and each chapter contains methodological notes. Value indicators since 2000 are given in BGN after the denomination in 1999. Data, included in the International Review Section, allow for making comparisons between Bulgaria and other countries. Most recent data available at the NSI at the time of preparation of the edition are published. Aggregated results of the European Comparisons Programme (ECP) on the Purchasing Power Parities (PPPs), price level indices and real GDP per capita, estimated by Eurostat as of December 14, 2017 are also presented.